MOSCOW, February 11. /TASS/. 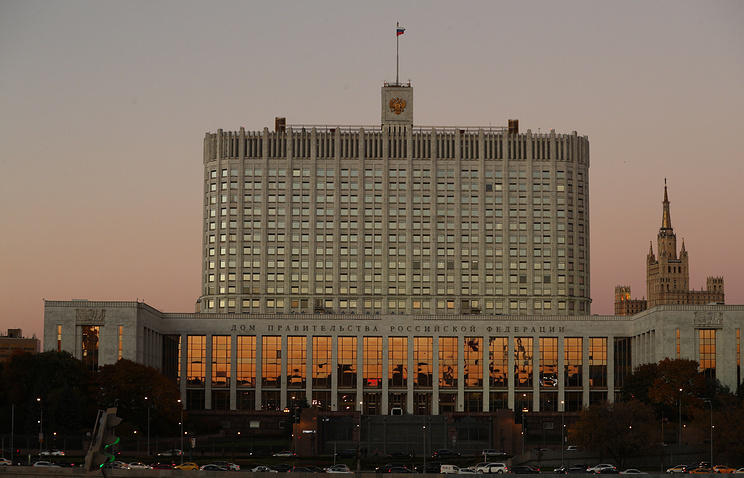 The Russian government has published information on its website about all the 12 National Projects, which are going to be implemented up until late 2024. The data were compiled on the basis of documents and certification from the National Projects that were approved at a session of the presidium of the Presidential Council for Strategic Development and National Projects dated December 24, 2018. 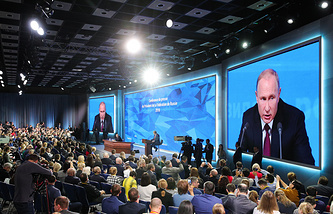 The key areas of the country’s strategic development were established by President Vladimir Putin’s order of May 7, 2018. The document outlined 12 priority areas: the Digital Economy, the Ecology, Labor Productivity and Supporting Employment, International Cooperation and Export, Education, Culture, Small and Medium Businesses and Support for Business Initiatives, Healthcare, Demographics, Safe and High-Quality Roads, Housing and Urban Environment and Science. The work on these projects is aimed at "providing breakthrough scientific-technological and socio-economic development for Russia, increasing the standard of living, creating conditions and opportunities for personal fulfillment and unlocking every person’s talent," the government stressed. The press service of the cabinet of ministers noted that the published materials that were last updated on February 7 "represent the main target indicators and the anticipated results of the National Projects’ implementation in a brief visual form." "The documents also contain key information about the structure, targets and results of the implementation of the Comprehensive Plan for the Modernization and Updating of the Main Infrastructure for the Period until 2024, which was approved by the government’s decree as of September 30, 2018," the press service specified. Having spelled out the task to organize and implement the National Projects in his May decree, Putin demanded, at a session of the cabinet of ministers, that the implementation of the specified goals and indicators be thoroughly controlled each quarter. The president highlighted that the results "should be expressed not in figures and reports, but in real action and the people's perception of what was actually done." Putin also noted that practical work to carry out the National Projects would start in 2019. He expects it to be "laborious and effective," he said. The share of purchased or leased Russian software in government institutions should be over 90% in 2024, according to National Projects papers. As reported earlier, the total turnover of Russian software companies surged by 18% year-on-yearin 2017 to $16.9 bln. Russia should boost exports of agricultural produce twofold to $45 bln by 2024, according to National Projects papers. It is planned that Russia may export agricultural products worth $24 bln in 2019 and $28 bln in 2021, according to papers. Russian agricultural exports provisionally totaled $25.9 bln as of 2018 year-end, Agriculture Minister Dmitry Patrushev said earlier. Russian exports of non-resource and non-energy goods should grow by 85% to $250 bln by 2024 year-end. Exports amount to $135.1 bln as the base value. Exports of competitive industrial products should grow by 80% against the base value to $205 bln by 2024 year-end. Exports of machine-building industry products should grow by 82% to $60 bln and exports of chemical and petrochemical products - by more than twofold to $37 bln. Non-resource and non-energy goods export should grow by 8% year-on-year and reach $160 bln in 2019, First Deputy Prime Minister Anton Siluanov said earlier. 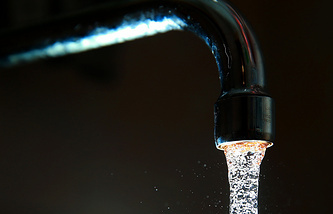 The Russian Ministry of Natural Resources and Environment plans to increase the share of the Russian population that has high-quality drinking water from 87.5% to 90.8% by 2024, according to materials on the National Projects published on the website of the Russian government on Friday. The National Project "Ecology" includes such federal programs as "A clear country," "The construction of facilities for sorting and recycling municipal solid waste primarily with the use of Russian technologies and equipment," "Clear air," "Drinking water," "The preservation of the unique water system of Lake Baikal" and "The preservation of forests." The total financial support of the project will stand at 4 trillion rubles ($60.5 billion) and 3.2 trillion rubles ($48.4 billion) from non-budget sources.